Yes, it's that time of the month. 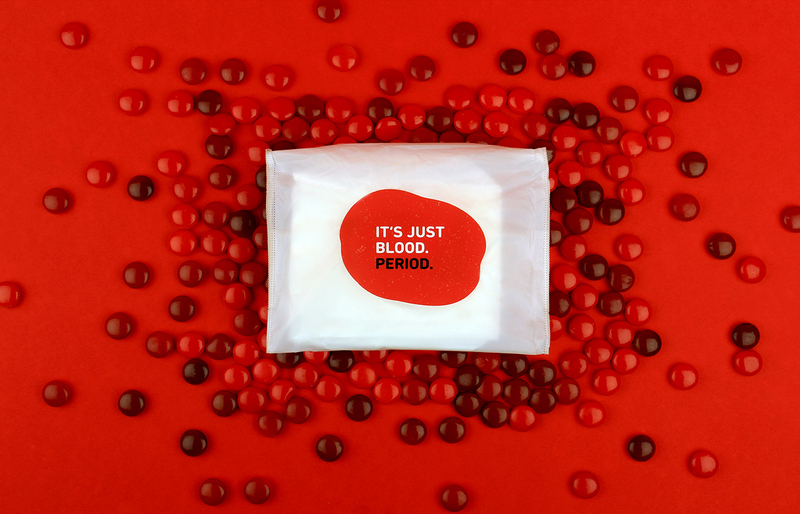 TELL THE WORLD YOUR PERIODS ARE, WELL, JUST PERIODS. 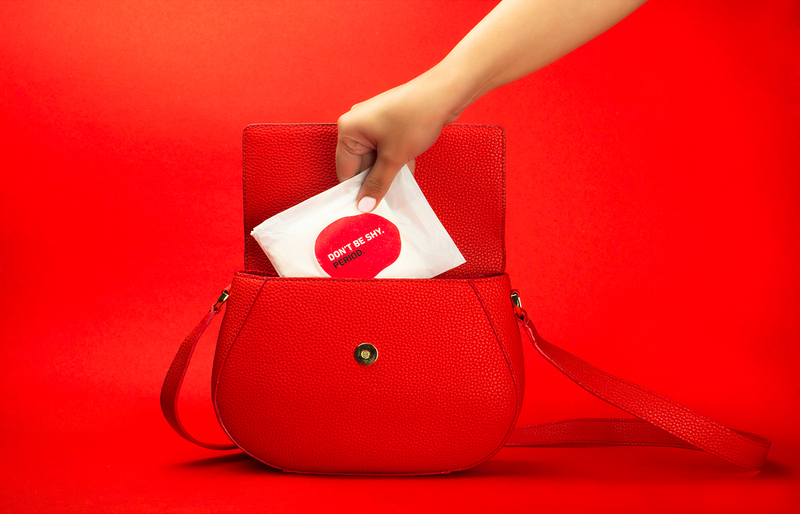 How about we turn boring sanitary pad packaging into one that is inspiring, confident and sparks conversation? 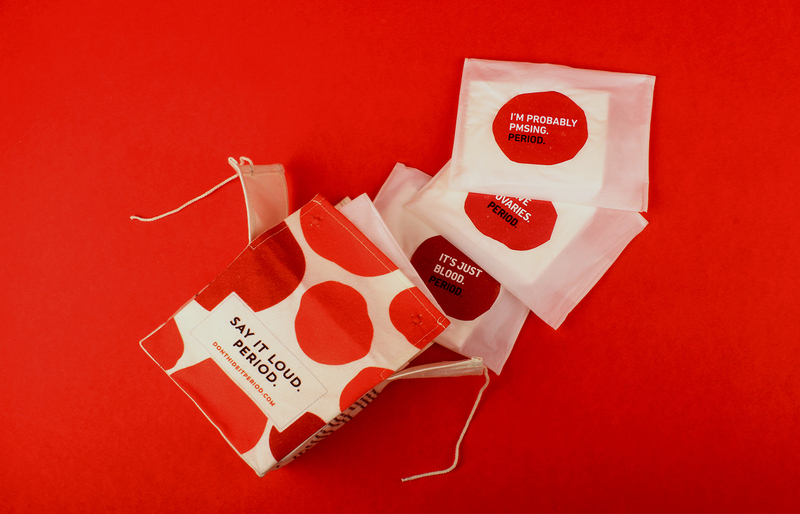 In this pouch, are a set of ten sanitary pads, each with a unique message, so that the most natural phenomenon in the world can no longer be the most stigmatised or embarrassing one. 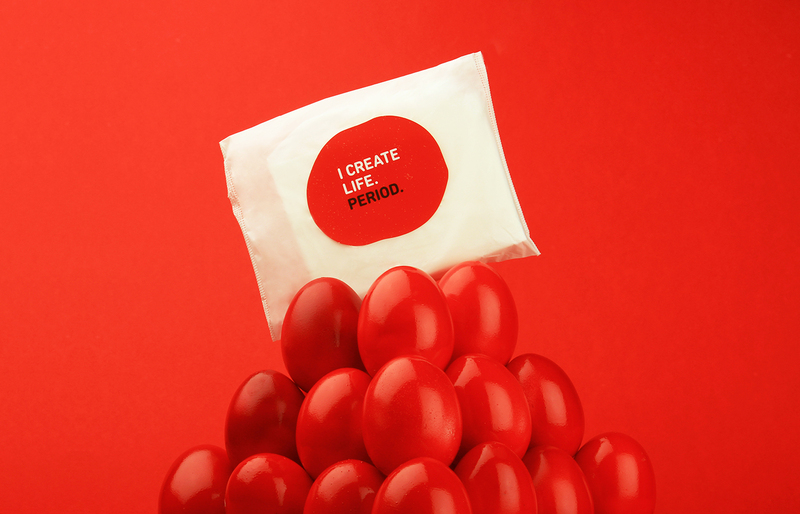 It's time to own your periods like the #GirlBoss that you are. 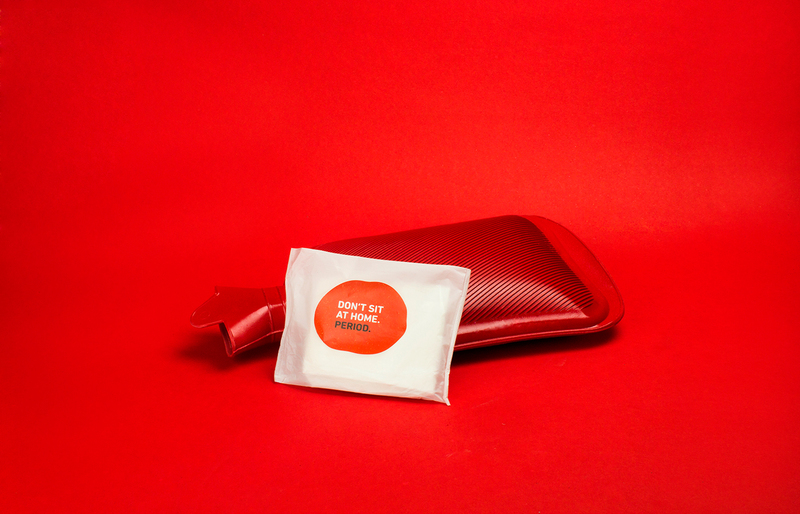 LET'S OPEN UP AND TALK ABOUT PERIODS. WITHOUT SHAME. Go on, start a conversation. Write it on this virtual pad and share it with the world. Your message can inspire many. 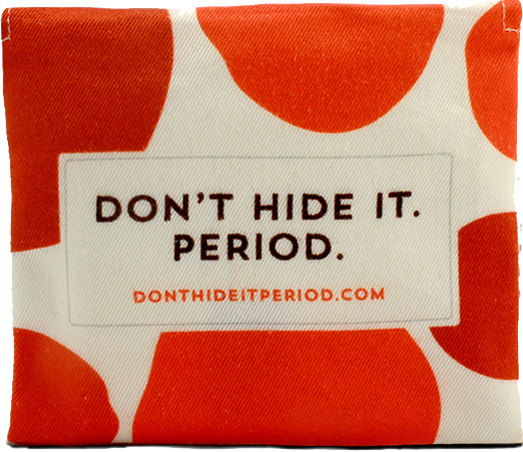 Use #donthideitperiod on your social media posts and inspire others to talk about periods. 300 million women in India do not have access to proper sanitary products, relying on old rags, newspapers, socks etc. For every pack of pads purchased, the sale proceeds will be donated to The Better India, who are setting up a factory in Ajmer together with Aakar Innovations, that will employ local women to manufacture and distribute biodegradable, low cost napkins. Know more. We're NH1 Design, a branding and design consultancy in Gurgaon. Since a long time, a question had been lurking in our head (and, our heart) - why does sanitary pad packaging fail to communicate and engage the end user? It's almost like the sole purpose of the packaging is to hide the pads by over-dressing them in florals, butterflies, cursive typography and stereotypical graphics. 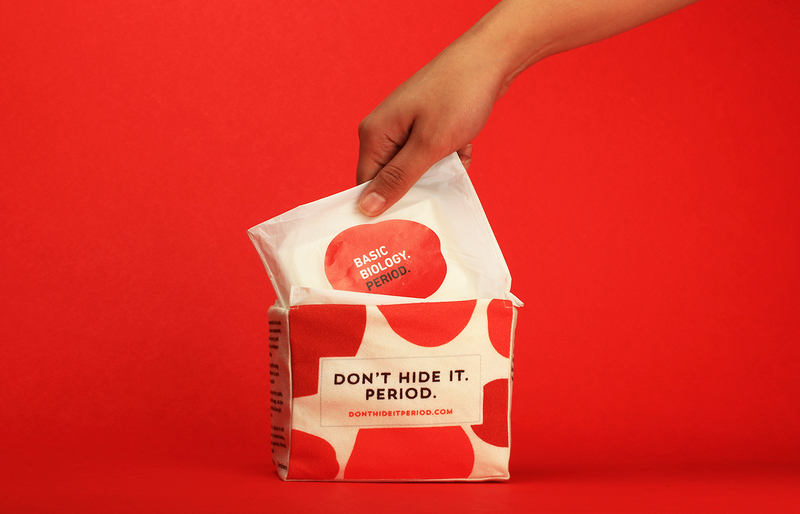 This brought us to the bigger question - why, in 2018, are we still shy to say the word 'Period'? Menstruation is a natural biological process. And that's all it is. 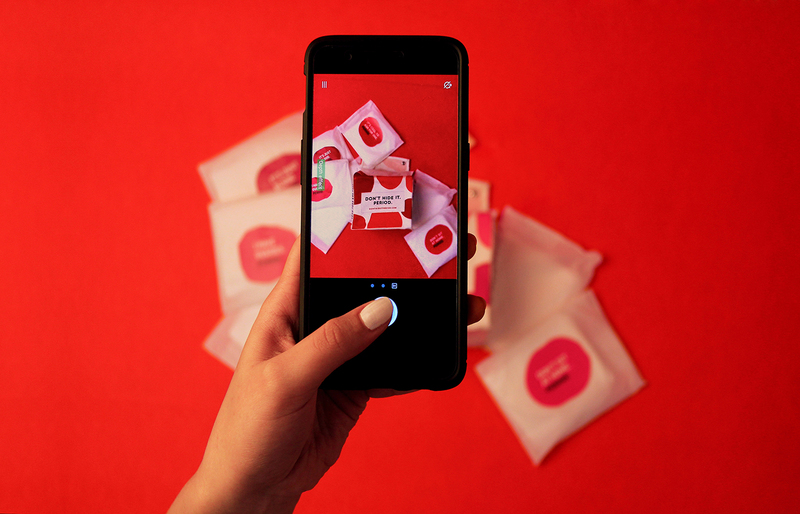 We decided to take things in our own hands and designed a packaging system that allows women to embrace periods and break the ice between their dear uterus and the society. If you like the thought and find our efforts worth it, do share, tweet, and let others know about it. After all, it's just period. Period. 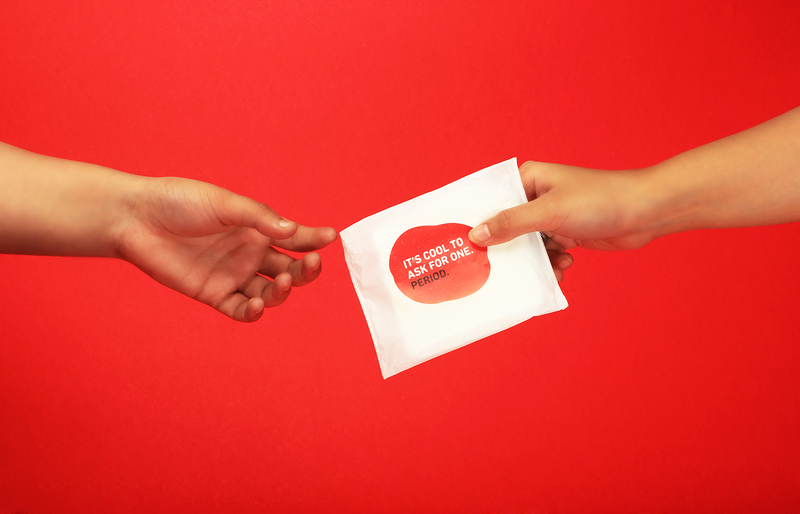 LET'S TAKE A PLEDGE TO OPEN UP AND TALK ABOUT PERIODS. 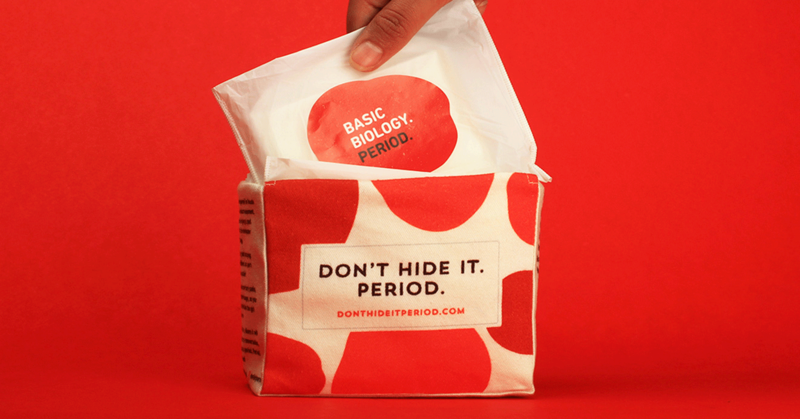 Don't Hide It Period is a limited edition three month campaign to raise funds for charity and inspire people to openly talk about periods. Support the cause, Buy now and spread the word.